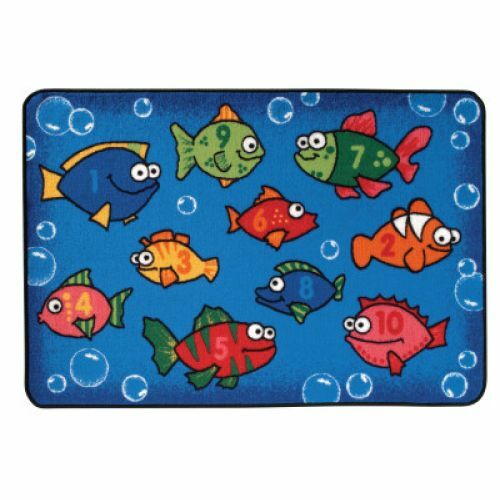 Catalog Home > KID$ Value Rugs™, Something Fishy, 3' x 4'6"
Skid-Resistant Backing (includes non-allergenic synthetic latex. Carpet Stain Protection. 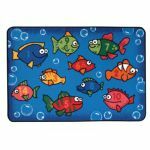 Made with recyclable nylon fiber • Machine Washable: cold water with mild detergent, gentle cycle. Line dry. 1 Year Limited Wear Warranty – excludes backing and serge. Passes CPSC FF1-70, Standard for the Surface Flammability of Carpets and Rugs 100% American Made. 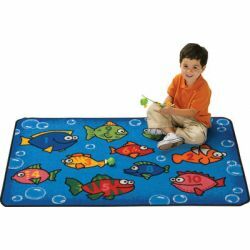 KID$ Value Rugs™, Garden Time, 3' x 4'6"
KID$ Value Rugs™, Alpha Fun Train, 3' x 4'6"